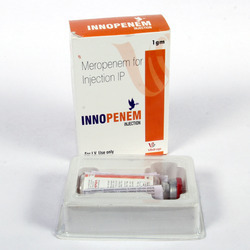 We are offering Velinerv Injection/Methylcobalamin Injection 1500 mg.
Innopenem Meropenem Injection its comes under Antibiotic Injectable category, comes with water for injection(with tray). 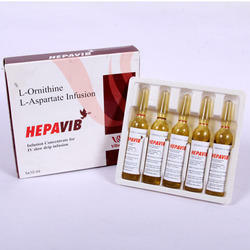 We offer HepaVib that contains L-Ornithine L-Aspartate 5gm/10ml. Our organisation is one of the successful traders and supplier of Amikacin-250 INJ. 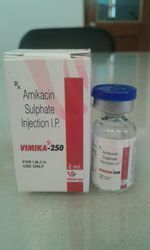 Amikacin-250 is highly prescribed for a bacterial infection which may cause lung, skin, stomach, blood and joint infection. 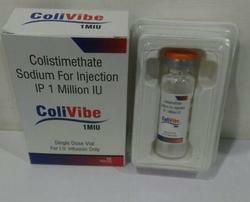 We work to meet customer requirement and the injection we offered are formulated by high-quality ingredients under the careful watch of experts in high tech environment to avoid any adulteration. 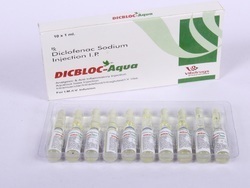 These injections are available to our customer at a reasonable price. 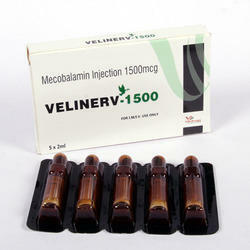 We procure Velixone-500 from the trusted manufacturer with GMP certification to ensure quality. 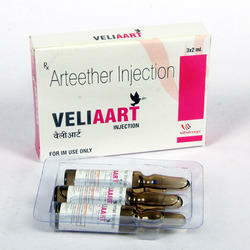 We offer Veliaart Arteether Injection 150mg inj. Composition arteether 150mg in 2ml packing is procured from one of the best & WHO & GMP certified units, which speaks about the quality of the product. 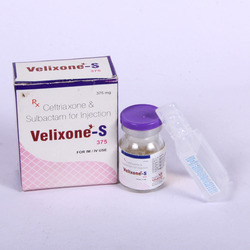 Our organization has gained recognition as the foremost enterprises active in wholesaling, trading and supplying Ceftriaxone Sulbactam Injection. These Velixone injections are formulated by vendor’s skilled medical professionals and checked against the medically accepted quality norms before the procurement. 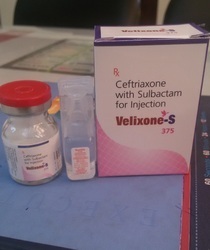 These Velixone injections are processed with optimum quality chemical compounds and advance processing techniques. 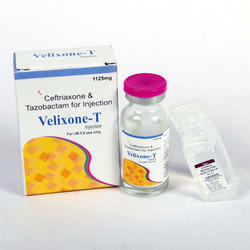 Customers can avail the whole range of Velixone injections at reasonable price . 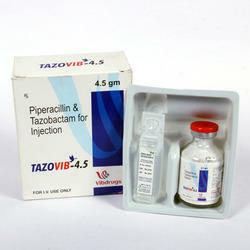 Tazovib injection procured from the GMP certified vendors so as to ensure the quality of the product. 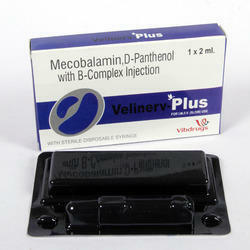 We are one of the main wholesaler, dealer, and suppliers of Velixone 1gm Injection. Our seller utilizes just high review add-ins, and other related synthetic mixes to figure these Velixone infusions to keep upset restorative standards. The nature of these Velixone infusions is guaranteed by checking totally against a few parameters. Alongside that, the offered Velixone infusions are comprehensively prescribed in healing facilities, centres, nursing homes and other therapeutic parts. 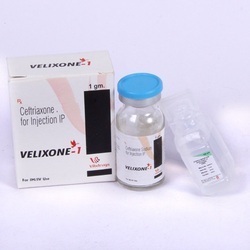 Velixone Ceftriaxone 250mg is procured from one of the manufacturer of injectable in the industry with GMP certification. 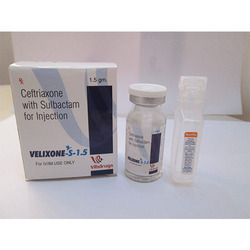 Ceftriaxone Injection 375mg is used to treat a wide variety of bacterial infections. This medication belongs to a class of drugs known as cephalosporin antibiotics. It works by stopping the growth of bacteria.